Disclosure: This book was provided to me by Mira Books publisher Harlequin via NetGalley. This rating, review, and all included thoughts and comments are my own. Dylan Maxwell may be the youngest of the Maxwell siblings, but she's started her own investigation business and has her brothers and sister on the payroll. When a man's body is found off of I-95, the victim of an apparent werewolf and vampire attack, the vampire prince Crispin Solomon sees an opportunity to spend time with the woman he's chosen for his mate and hires Dylan to investigate. He's loved Dylan for years, but hasn't managed to do anything but mortally offend and hurt Dylan in an incident a couple of years ago. Since then she's avoided him like the plague. This murder investigation gives him a chance to wear down her resistance. The investigation, however, doesn't go quite as smoothly as hoped and a surprise attack leaves Dylan undead and newly betrothed to Crispin - and not totally happy about it. Still the investigation goes on and it soon becomes apparent that the werewolves are involved in ways that will shake both the vampire and werewolf cultures to their very foundations. 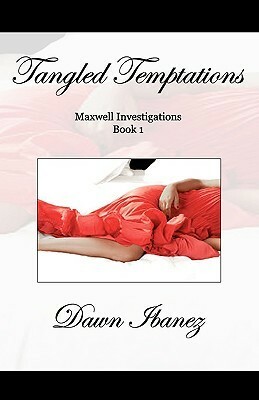 This is my second experience with Dawn Ibanez's work, and I have the same problems with Tangled Temptations that I had with that one. 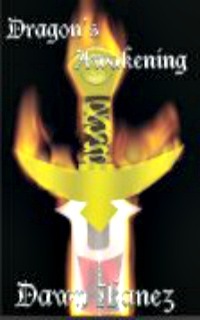 Dragon's Awakening: High Council (Volume 1) was a brilliant concept with an intriguing plot and interesting characters, but it was very poorly executed and seriously flawed (my review here). In Tangled Temptations we have another intriguing concept and complex plot, but if anything, the writing is even less accomplished than it was in Dragon's Awakening, and where I believed that story was creative enough to rate it three stars despite the technical issues, I'm feeling far less magnanimous in this case. Not because the story was any less impressive, though, because in truth, the concept of the story was interesting and I love stories where the male romantic lead chases the woman of his dreams and she needs convincing. No, the reason that I'm not feeling as magnanimous as I was previously is that it's been two years since Dragon's Awakening was published and this book is even less polished and riddled with more mistakes than that one - to the point that I started to feel insulted. My intent is not to trash the book or get nasty in this review, but to speak honestly about the numerous and grievous errors that exist. The core building blocks of the written language are atrociously mangled in Tangled Temptations. The book is littered with vocabulary, punctuation, and grammar mistakes, and there are many, many sentences missing words altogether. So many of those blatant errors could have been caught and fixed if the author had bothered to simply proofread her own work, or asked a couple of friends to help out prior to making it available for purchase. The fact that the author did not deem it important enough to do so prior to publishing seems to indicate a lack of concern for the quality of her work. As a paying customer, I find that insulting. At the story level, there are also far too many issues. The idea for the story may be good, but the story itself is just as much of a mess as its core components. Both the world building and character description are severely lacking. I didn't even know the ethnicity of the Maxwell family until about halfway through the book and I still don't have a clear idea of what Crispin and Dylan look like. The flow of the narrative takes a beating simply because of the grammar, but it's also hampered by a never-ending shift in POV between each character and plot thread - no matter how ancillary to the main plot, or how brief a character's appearance. The transitions in plot and POV are jarring and abrupt, happening sometimes from one sentence to the next in the same paragraph. There's little to no individualization or differentiation between secondary characters, and way too much going on in the plot to be consistently coherent. There's no consistency in characters, action, or mythos, either, and the timing and pace of the action was shockingly bad in places. In one case, for example, one of the characters leaves Crispin's, goes to talk to someone across town, and has returned with information from that conversation while Crispin and Dylan enter the house and climb the stairs - because he's back just after they reach Crispin's bedroom. It's ironic, really, that Dylan was originally so upset with Crispin because he used a movie she spent months working on as an example of everything you shouldn't do when making a movie, because Ibanez has pretty much run the bases on things you shouldn't do in a book. The true pity is that creatively, Ibanez has chops. The imagination is there. The concept is there. With a more conscientious attention to technical detail, Tangled Temptations could have been good. As it stands, I'm left hoping she can find someone - anyone - to provide copy and story editing. Until then, I'm afraid I won't be reading.